Club treasurer, Kai, MM1AUF was a lucky winner in the Prize Draw held by CQ Scotland at the recent Braehead Rally. 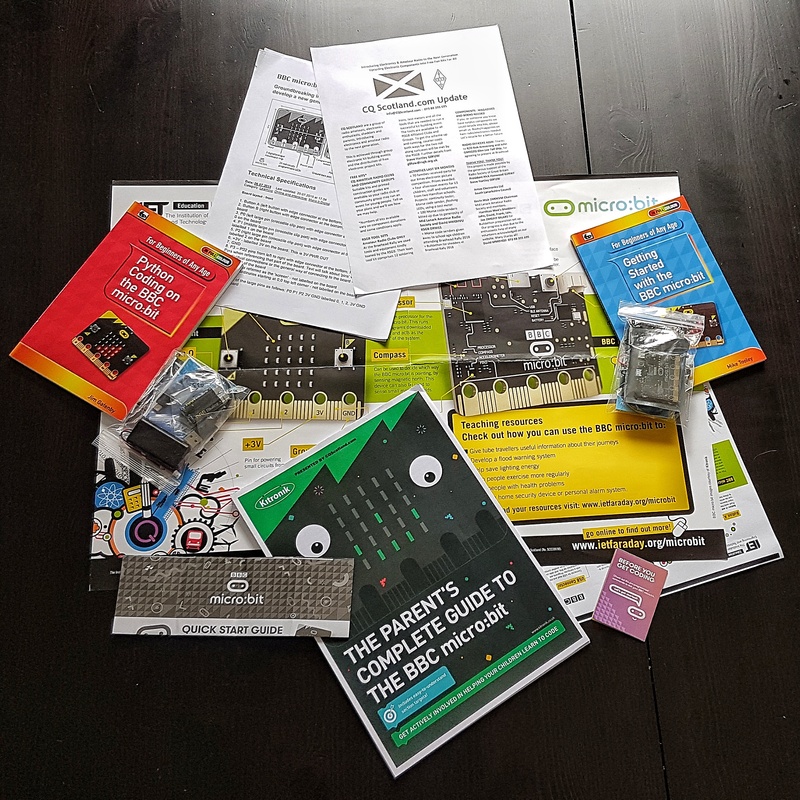 Her prize was a goodie bag jam-packed full of BBC Micro:bit micro-computers, components, resource books and guides. This will provide lots of project work for the club and hopefully engage our local scouts with amateur radio and electronics. We would like to express our thanks to CQ Scotland for the kits and look forward to incorporating them in our activities. The CQ SCOTLAND GROUP is a non profit community group introducing electronics and amateur radio to the next generation. This is achieved through group building events and the distribution of free electronic project kits. Their aim is to inspire the next generation to gain their foundation amateur radio license or spark an interest in electronics, that could lead to worthwhile careers. Check out their website by clicking on this link or the link on the right-hand side of the page. In keeping with tradition the Radio Group will again be taking part in the annual worldwide JOTA/JOTI event. The event has been held the third weekend of October since 1957. 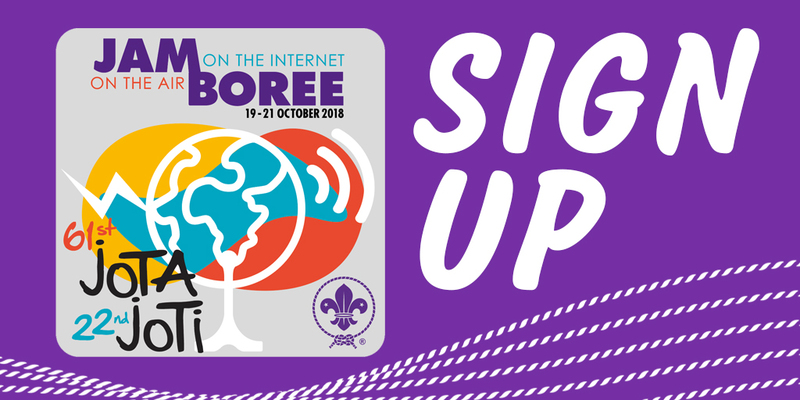 The next JOTA-JOTI is 19th, 20th and 21st October 2018. The amateur radio website QRZ.com recently awarded the Greenock and District Scout Radio Group the World Radio Friendship Award. This award is issued solely based on communications between QRZ users. The award was achieved by successfully completing on-air contacts, during our Friday night meetings in the HQ Radio Shack, with at least 25 members of QRZ from around the world. The award celebrates QRZ’s 25th Anniversary and recognises our Group’s achievements in amateur radio.